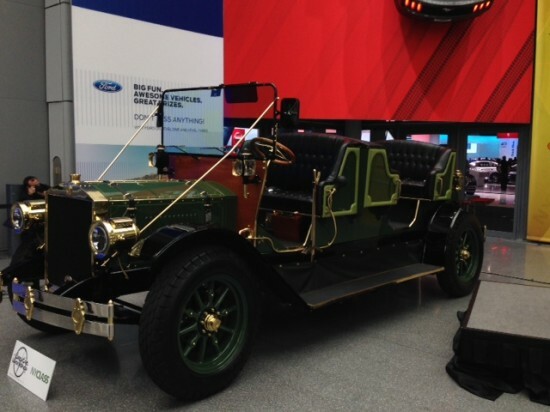 In what sounds like a flashback to the turn of the 20th century, curious New Yorkers peered inquisitively at a new horseless carriage model on display at the New York International Auto Show. The old-timey vehicle is actually a high-tech electric vehicle at the center of the heated fight to ban horse carriages from Central Park in New York City. 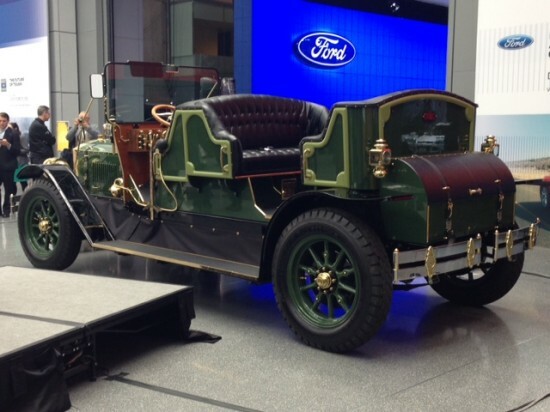 Just feet from the buffed and polished BMWs and Aston Martins, the eight-seat “Horseless eCarriage” made its global debut. The prototype is designed as an homage to brass-era vehicles, with plenty of brass detailing, tufted leather seats, and an over-sized windshield. It even sported some classic books on New York City history tucked into a vintage glove compartment. “My distinct honor and challenge has been to design a vehicle that celebrates the nostalgia and romance of the early 1900s, while eliminating a lot of the not-so great qualities of that time,” said Jason Wenig, who designed the vehicle. He said he took the style of the time, but created a car that has the comfort and technical capabilities of today’s automobile. This prototype was commissioned by New Yorkers for Clean, Livable, and Safe Streets (NYClass), a group which has been leading the charge to ban horse carriages, and just happened to donate $1.3 million to Bill de Blasio’s mayoral campaign. 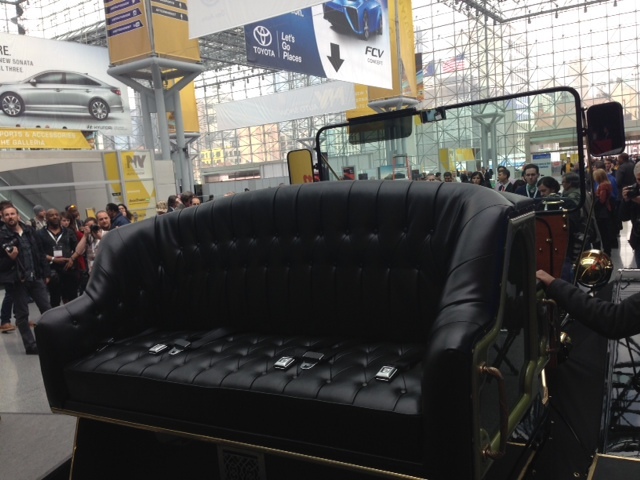 As mayor, de Blasio has pledged to ban the carriages and replace them with something like the eCarriage. But doing so won’t be easy. He’s facing sustained backlash from carriage drivers, the press, locals, and even Liam Neeson who expressed his support for horse carriages in a recent New York Times op-ed. And, for now, all that backlash has reportedly stalled the mayor’s plans. De Blasio still contends that the carriages will be gone by year’s end. If that does happen, it still remains to be seen if the over-size wheels of the Horseless eCarriage—or something like it—will follow in the horse’s footsteps.